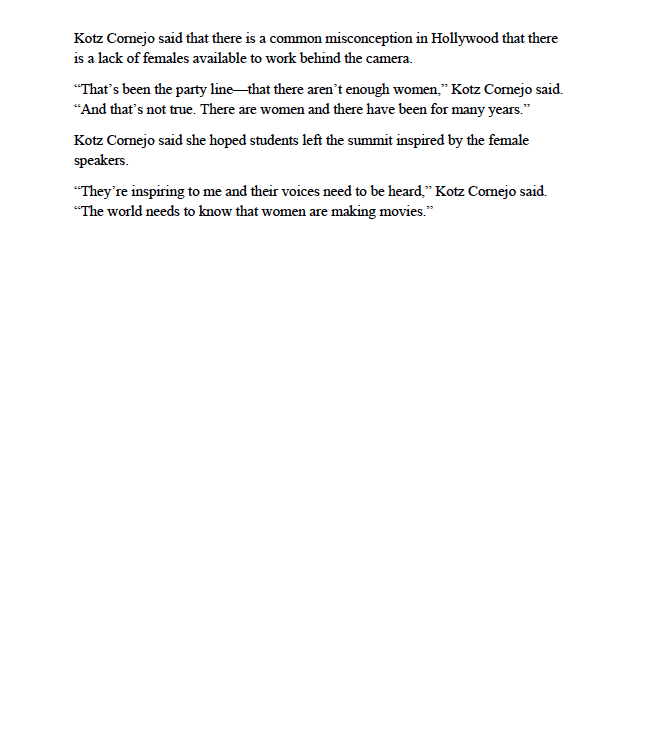 Boston Globe mentions Emerson College's first Women in Film & Media Summit, November 9, 2015. From L to R: Professor and screenwriter Jean Stawarz moderates panel with Lexi Alexander, Toni Barton, Cybel Martin and Aurora Guerrero. Game and sound designer Chanel Summers shows a new app. Director Lexi Alexander with Emerson College students. Writer/Director Aurora Guerrero with Emerson College students. Art Director/Production Designer Toni Barton with Emerson College students. Producer Mollye Asher (r) with Emerson College students. Director of Photography, Cybel Martin (r) speaks with Women in Motion President and film student, Kim Anderson. VP of talent development at HBO, Kelly Edwards on Strategies for Change and Success panel. Moderator and professor, Miranda Banks; VP of talent development at HBO, Kelly Edwards; producer Mollye Asher; director/producer Beth Murphy and producer Linda Reisman. From L to R: Alison Plante, Acting Chair of Film Scoring Area at Berklee College of Music; director Lexi Alexander; composer Germaine Franco; composer Jeanine Cowen; producer Mollye Asher; writer/director Cristina Kotz Cornejo; director of photography Cybel Martin; art director/producer designer Toni Barton; game & sound designer Chanel Summers; writer/director Aurora Guerrero.